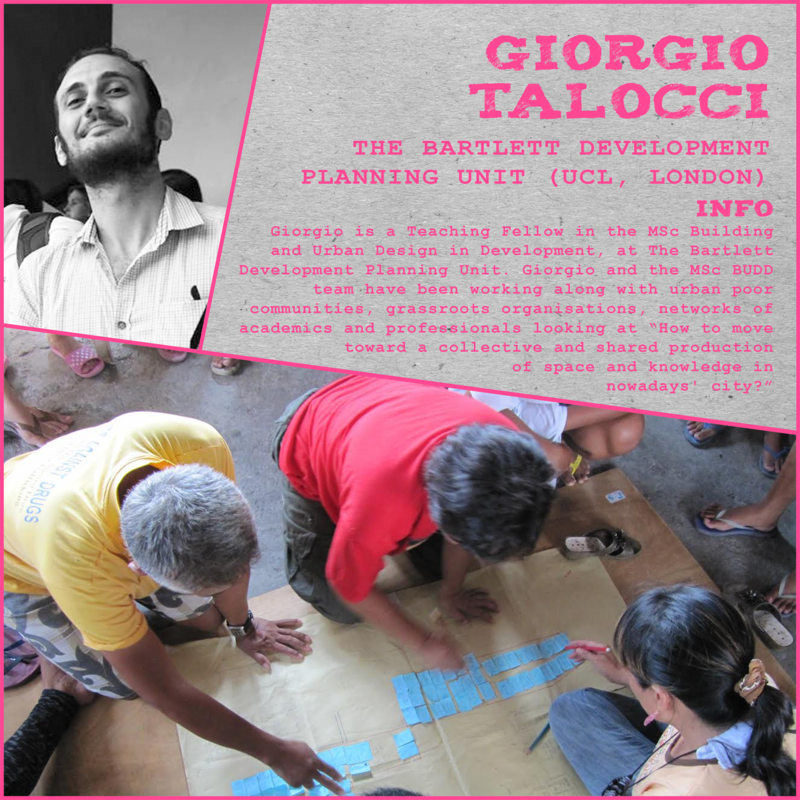 Giorgio Talocci is a Teaching Fellow in the MSc Building and Urban Design in Development at The Bartlett Development Planning Unit (University College London), where he teaches the modules ‘Critical Urbanism Studio II’ and ‘Urban Design for Development’ and coordinates the DPU summerLab workshop series. In the last years, Giorgio and the MSc BUDD team and students have been working along with urban poor communities, grassroots organisations, networks of professional and academics. Treading on the multiple thresholds between Global North and South, formality and informality, doing and not doing, design as activism and design as research, they endeavour toward a collective, shared and people-driven production of space and knowledge in nowadays’ contested urbanisms.